"Rovio has just launched its Christmas themed collection of bonus Angry Birds levels on Android..."
Did you beat all the levels of Angry Birds yet? Do you like the holidays? Well, Angry Birds Seasons is available for you! 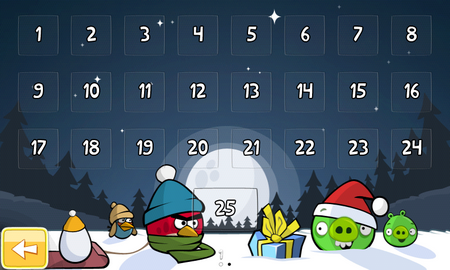 Angry Birds Seasons is the classic game of Angry Birds with a holiday twist, including snow and santa hats. And it's free so you will still have enough money to buy me a gift...I mean, buy a gift for a family member!